Don a trendy look with this charming set. Comprising of endearing pearl pendant and mini danglers, it is a style staple. 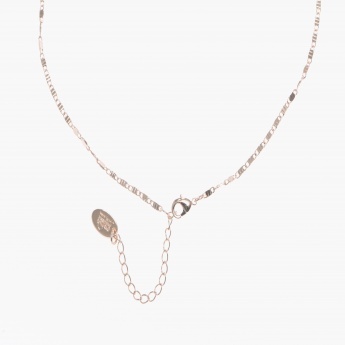 The lustre from the metallic chain elevates its appeal.